Bankruptcy Exemptions in Colorado (Part 1) - Castle Rock Bankruptcy Attorney - Jon B. Clarke, P.C. 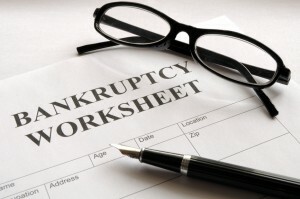 Bankruptcy exemptions allow debtors to keep certain property and assets when filing for bankruptcy. They include some exemptions for debtors’ homes and cars. Residential property – Up to $60,000 in equity of a debtor’s home can be exempt from bankruptcy (or up to $90,000 if the debtor has a spouse or dependent who is older than 60 years old and/or who is disabled). Insurance benefits – While 100 percent of a group life insurance policy and life insurance proceeds are exempt from a bankruptcy estate, up to $200 per month from disability insurance is also exempt. Motor vehicles – Up to $5,000 in equity for motor vehicles is exempt from a bankruptcy estate (or up to $10,000 can be exempt if the petitioner is elderly or disabled or has an elderly or disabled spouse or dependent). Work tools – Up to $20,000 in tools used for work purposes (also referred to as “tools of the trade”) can be exempt from a bankruptcy estate. Knowing what you can exempt from your bankruptcy estate can be critical to helping you maintain as much of your property and assets as possible as you work towards discharging much of your debt, including credit card debt, medical bills, etc.